The benefits of SIP trunking for business are significant. Some customers are able to cut their communication costs by as much as 60%. In addition, businesses enjoy greater flexibility and easier maintenance. You may have heard great things about it from peers and friends. You may also have heard terrible things about it from peers and friends. That’s because not all SIP trunk services are created equally. Some providers leverage only Tier-1 carrier networks that offer top-quality, reliable, and resilient voice services. Others use lower tier networks that are prone to jittery audio, system downtime, and a poor user experience. Because the quality of service varies so widely, it is very smart to choose a vendor that offers a free trial before you make the switch. Your phone system is the lifeline of your business and putting it into the hands of a new partner is no small thing. A switch to SIP trunking that goes wrong can be extremely frustrating for your customers and employees. We want our clients to feel confident that their experience with SIP.US will be a great one. That’s why we provide free SIP trial accounts with up to 60 minutes of outbound calling to most of the United States. We make it easy to sign up and don’t even ask for a credit card to get started. Whether you do a free SIP trial with us or another provider, there are four things that you should evaluate. 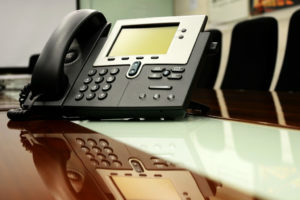 SIP trunking leverages the internet to make and receive calls, so the speed and reliability of your internet connection is key. These days, most business high-speed connections including T1, cable, DSL and metro Ethernet are more than capable of handling both your voice and data. You can use your SIP free trial to verify this or determine if you need to upgrade your connection. Speaking of bandwidth, we should note that some SIP trunking providers require that they become your ISP. We disagree with this approach. We recommend that you choose a SIP trunking services provider that lets you choose the internet service provider that offers the best value in your area. When it comes to internet enabled voice, reliability and quality are judged by “Packet Loss” and “Data Latency.” Both of these problems can lead to issues of jitter and lag, in other words, bad voice quality. Your free trial is the perfect time to judge the performance of any network you consider and ensure that your calls will come through loud and clear. The quality of the voice signal isn’t the only consideration when choosing a SIP trunking vendor. You are forming a partnership that will make or break the SIP experience. Look for a provider with strong references and an expert customer service team. Be sure to ask lots of questions about how you will receive support and what they are willing to do to get you up and running quickly and painlessly. SIP trunks are generally administered through an online application, frequently called a control panel. The trial period is the perfect time to make sure the one you are considering is easy to use. It should not be difficult to add new channels, access call data records, and set up business continuity rules. If you take these four things into consideration, making a decision about the service provider should be a snap after your free SIP trial. Once you’ve found a solution that lets you check each box, you’ll be ready to enjoy serious savings and unlimited flexibility.